Thursday, August 16, 2018. Master of Government Affairs and Administration UMY and Postgraduate Khon Kaen University Postgraduate (KKU) held a Joint Seminar with the theme “Social And Economic Development Challenges: Comparison Between Indonesia and Thailand” in 1st floor Postgraduate Director Meeting Room, Postgraduate Building, Muhammadiyah University Yogyakarta. 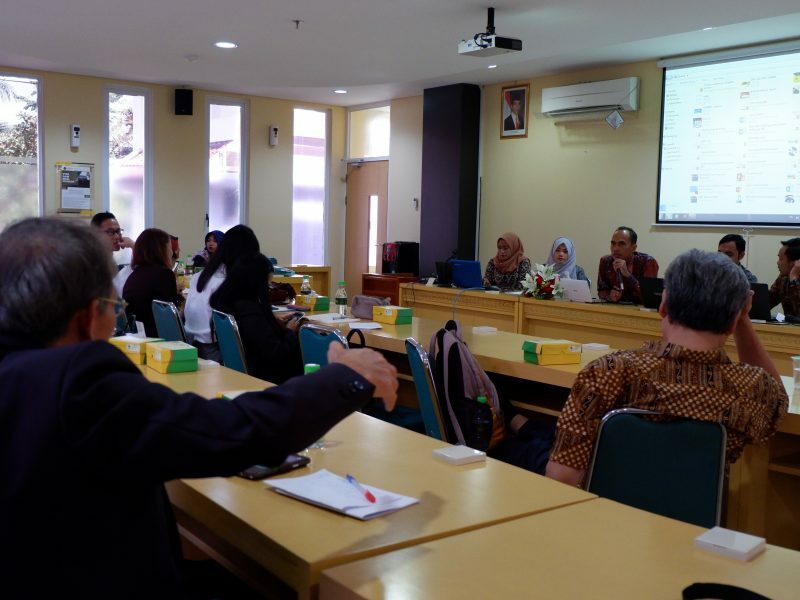 The joint seminar was held in the context of a collaborative forum between postgraduate students to review the current situation regarding the social and economic development of Thailand-Indonesia countries. In this event 12 (twelve) presenters consisted of 4 (four) presenters of KKU graduate students and 6 MGAA UMY students presenters namely Pangky Febriantoro, Riska Sarofah, Helen Dian Fidayani, Aditya Putera Adiguna, Muhammad Dwi Nurfaisal and Dwian Hartomi Padma Edo and Muhammad Johan Komara presenters from MIP Students of UMY. Meanwhile, the KKU delegation included Miss. Chonticha Phondaeng, Miss. Patcharaporn Detkawinloet, Miss. Nattawipa Duanglang and Mr. Awuthruenpakoj. In the presentation the presenters used English, considering the language was a universal language and easily accepted by audiences from Thailand and Indonesia. On this occasion Muhammad Johan Komara conveyed the results of his research on: one of SIGALIH’s effective way to use applications for future election. In the context of election, trust factors are contrast with some previous studies. Muhammad Johan Komara, who also serves as the Commissioner of the General Election Commission (KPU) of the Province of DIY, offered the effectiveness of holding elections using the SIGALIH application. The seminar lasted for 3 (three) hours starting at 9:00 a.m. to 12:00 running well. The participants were more enthusiastic when entering the question and answer session. In fact, Prof. Sekson Yongvanit, a KKU lecturer who was the leader of the visiting graduate student delegation, was given the opportunity to ask questions. No wonder this event is quite exciting because events like this are very valuable, bringing together two academics between two different cultures at once in one forum.